The beers here are quite good and very well made. There were eight beers on tap on our visit - four seasonals and four regular beers (including two IPAs and an Imperial IPA). The building looks like a well-restored older building. The fairly high ceiling has modern exposed rafters but an old brick wall is visible beyond the rafters and the floors are an old textured concrete. Brewpub merchandise (t-shirts, hats, etc.) is for sale at the entrance. The dining areas are straight ahead as you enter and in a separate room to the left. The area on the left has quite a few windows and is quite bright and includes a childrenâ€™s play area. Seating consists of light wood tables and chairs and quite a few padded booths with the same light wood trim. The bar area is up a ramp to the right. 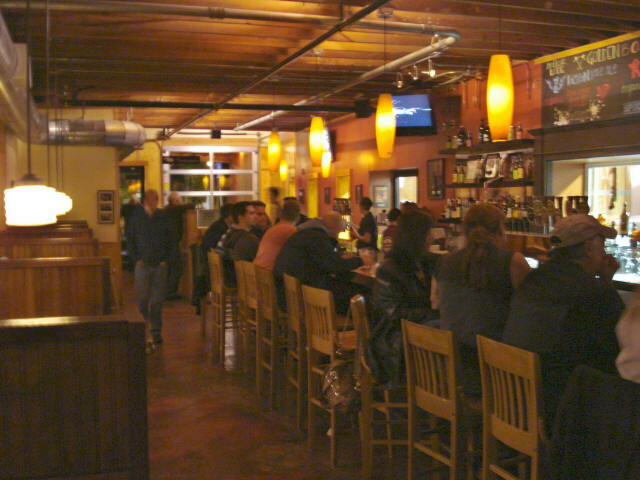 There are a few tall tables with padded stools by the windows and a row of booths running parallel to the bar. The bar itself is rather long and is topped in varnished lighter wood with a wide trim of black wood. Tall light wood chairs run along the whole length of the bar. The bar back is an orange painted wall, a series of minimalist mirror-backed wooden shelves holding liquor bottles and a centerpiece window through which the brewery can be seen. Lighting comes from large orange elongated glass fixtures hanging from the ceiling over the bar (extreme 1950â€™s style) and smaller white fixtures throughout the rest of the space. 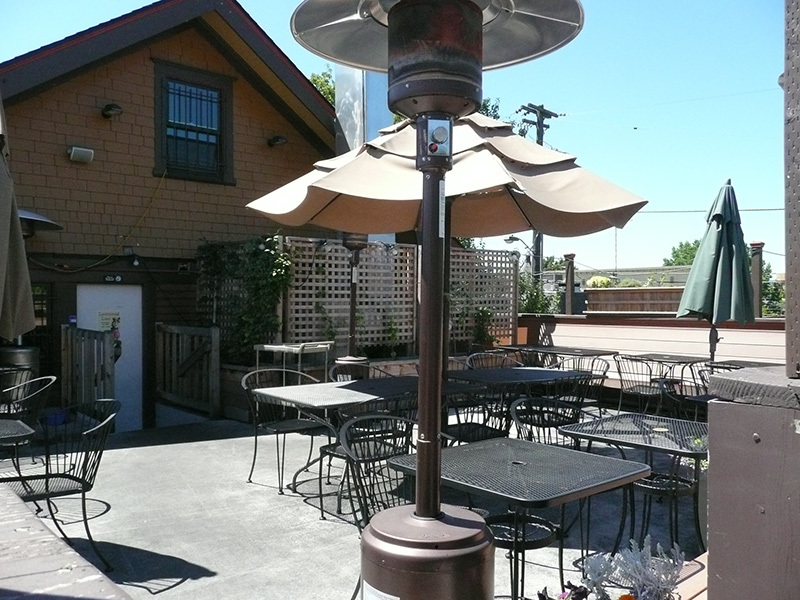 Outdoor seating is in back on a small deck. There are black metal mesh tables and chairs and a wooden bench with a high back that screens the parking lot. Thereâ€™s also a rooftop patio (closed on our visit). Overall, itâ€™s a very comfortable vibe - clean, tasteful, and well decorated but not pretentious or suburban. 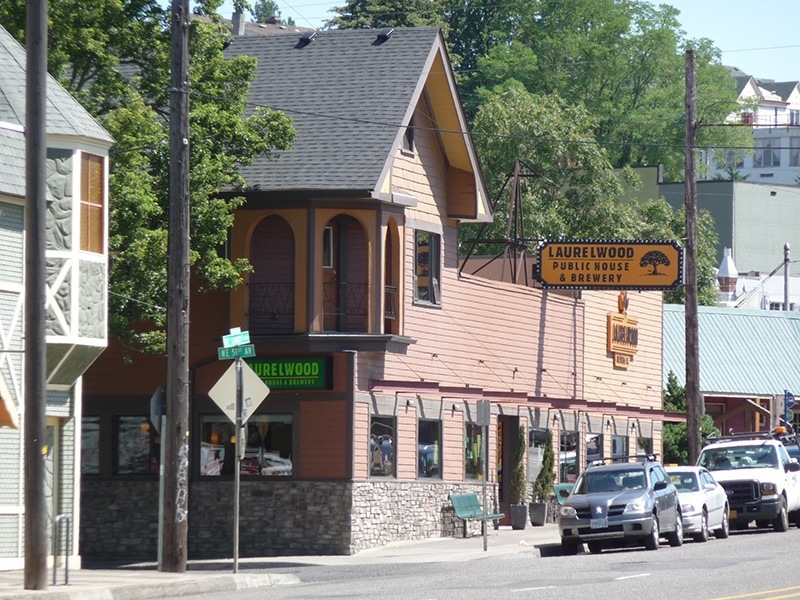 Other reviewers have criticized the Laurelwood because of the kids. It is very kid friendly, and since that clearly is part of their business model, I would not downgrade them for that. I choose to go there at quieter time. The Workhorse IPA, Vinter Varmer, and the Deranger Imperial Red are the personal standouts. The latter two are seasonal beers. The Workhorse IPA won the NIPAC 2009 (National IPA Championship). I can think of at least 2 brewpubs in Oregon that have an IPA that I would consider in my top 5 on their good days, bu unfortunately they seem to have their bad days. You will not experience that at the Laurelwood. For the most part the food is quite good. Occasionally the management seems to get carried away in its frugality, but they seem to respond to feedback and things improve. Wow this place was full of kids. They had a play area for the kids and that was brimming with kids and then kids running all over the place. Was I at Chuck E Cheeses? But I am glad because I had my kid with us also. We had a great time the service was good and they played to the kids when we needed it for the food. The beers are very good also and one of the first in America to be all Organic with the beers. I had a great sampler of beers and I loved the Green Elephant IPA. The dark beers where also very good. This is a must stop also for your Portland stops. Yes there are many to hit in Portland. 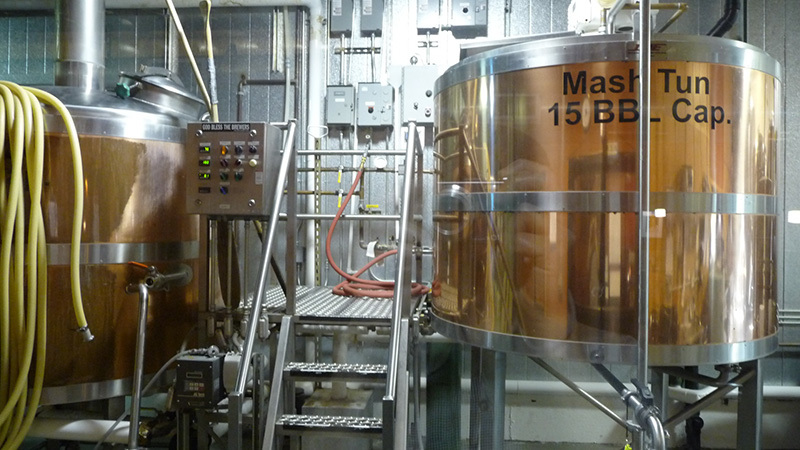 I visited the Laurelwood brewery with my Beaverton-based brother (himself a brewmaster). With all the great brewpubs in Portland, it might be awhile before I get back to Laurelwood, but I'd definately make the trip back. 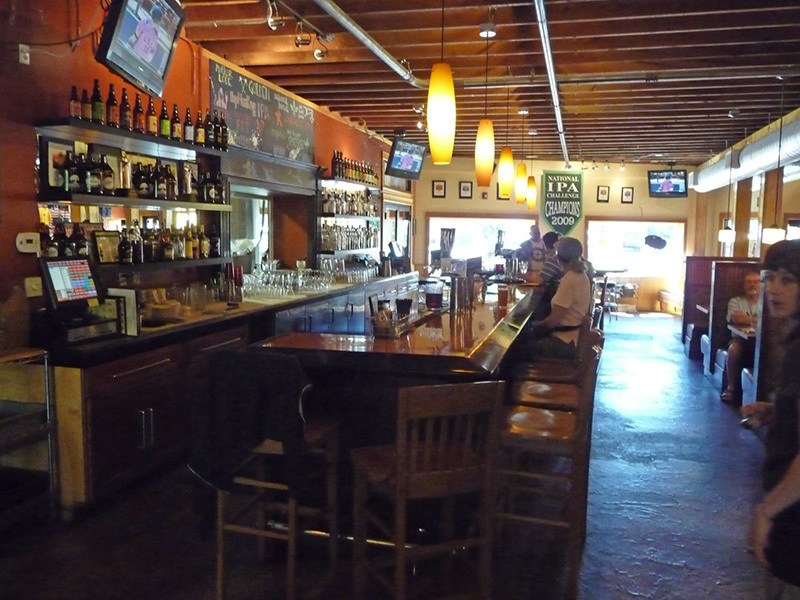 Annoyances: Laurelwood is a resturant first, brewpub second, IMHO.